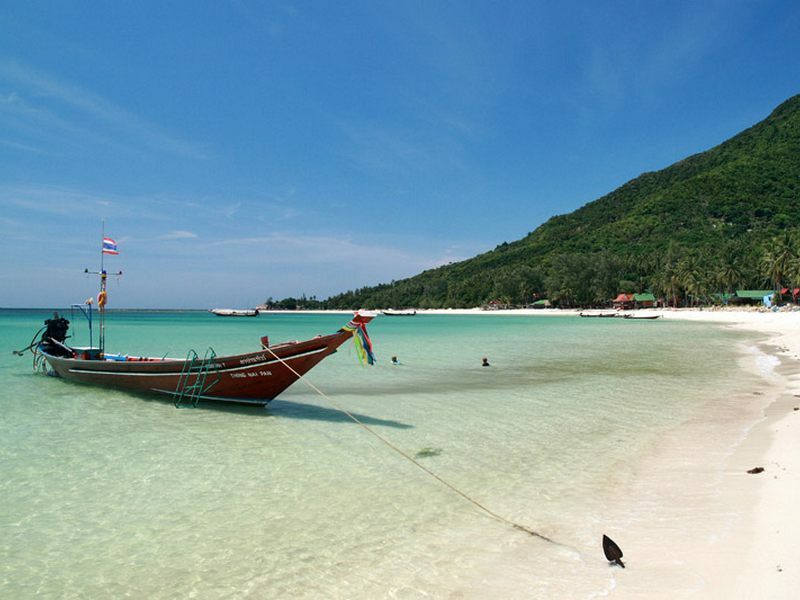 Koh Phangan in Thailand is a short boat ride from Koh Samui and is an island fringed with pristine white sand beaches. 75% of the interior is mountainous with tropical jungle. It continues to maintain its 'undiscovered' feel. Large parts of the area have now been declared a National Park. Whilst the backpackers still return, mainly for the world's biggest full moon party on Haad Rin beach every month, the better infrastructure and recent growth in the number of Koh Phangan private luxury villas and hotels are now attracting the more discerning visitor for a Thailand villa holiday. The Koh Phangan holiday destination has seen the emergence of increased quality dining and entertainment choices to accommodate those who have more spending power, whilst enjoying the natural environment on a Thailand island escape. 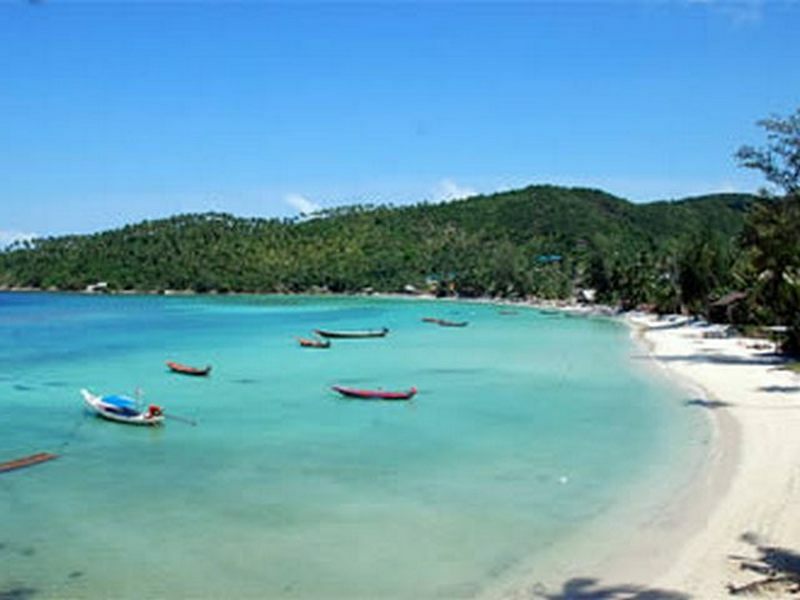 Koh Phangan is located in the Gulf of Thailand south east from Bangkok on the mainland and is Thailand's 5th largest island sitting 12km north of the popular island of Koh Samui and 70km from the mainland. 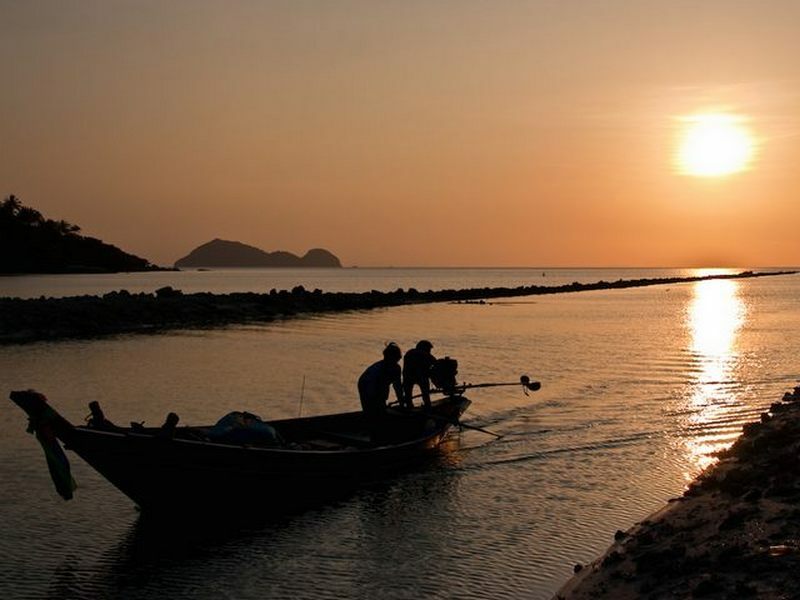 It has been recognised as an island of natural beauty and spiritualism by the Thai people. The Kings of Thailand paid visits to the island many times, with one leaving his Royal Seal engraved on a rock in the north east of Koh Phangan over 100 years ago. 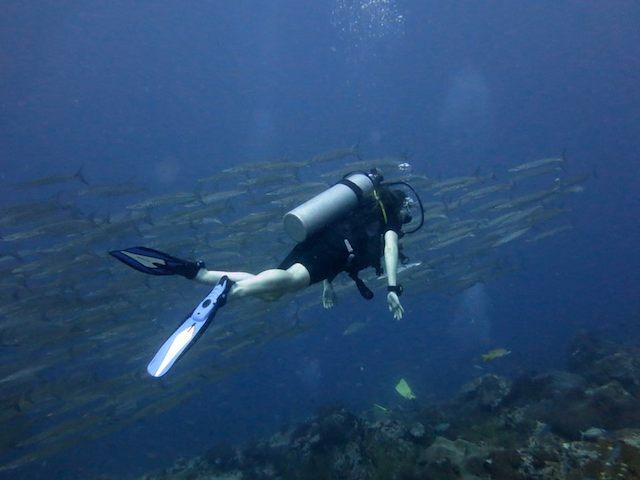 Like Koh Samui, the island is fringed by beautiful white sand beaches, but it is also surrounded by an amazing underwater world with 10km of living coral and 20 local dive sites. The remaining approximately 75% of the 148sq km island is quite mountainous ,covered with tropical forest. Due to it's granite structure there are several small mountains ideal for trekking and even to camp. The area continues to feel undiscovered, much of the interior has been designated as a National Park. The original main industries of coconut cultivation and fishing are still in evidence. However, it is now a growing eco-tourism destination attracted by the charm of this beautiful island where total relaxation can be enjoyed. Since being visited by backpackers from the seventies and eighties avoiding the increased development of the sister island of Koh Samui, popularity of Koh Phangan has increased rapidly with the awareness of the worlds biggest full moon party bringing thousands to the island every month to be entertained by DJ's on a beach in the the south. Although it still has it’s backpacker roots ,Koh Phangan has now moved towards attracting families and package tourists with the increased development of luxury private villas and hotels. Perfect for those looking to enjoy the natural beauty of the mountains , the beautiful beaches and the crystal clear waters. 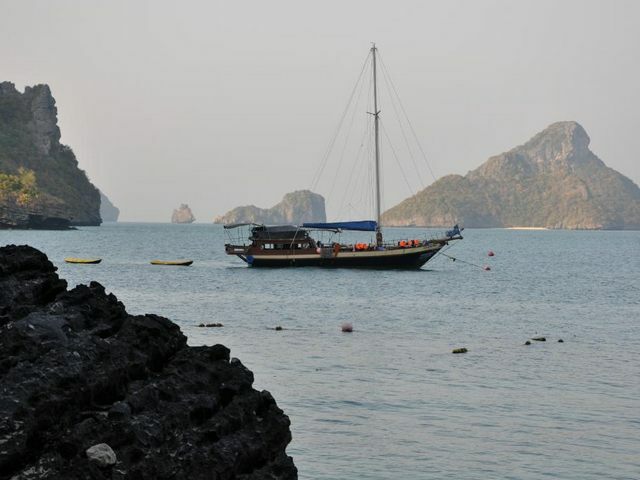 Koh Phangan is now a world class diving centre and has achieved recognition in the specialist services of Spa and Wellbeing centres and with increased eco activities such as cycling and trekking the island has something to offer everyone. There are many healing, fitness and yoga centres here on Koh Phangan to choose from, be it yoga classes on the beach or pilates in the studio. There are also many spa, detox and meditation retreats that are attracting many tourists from all over the world coupled with the desire for total chill out and relax and do nothing at all. 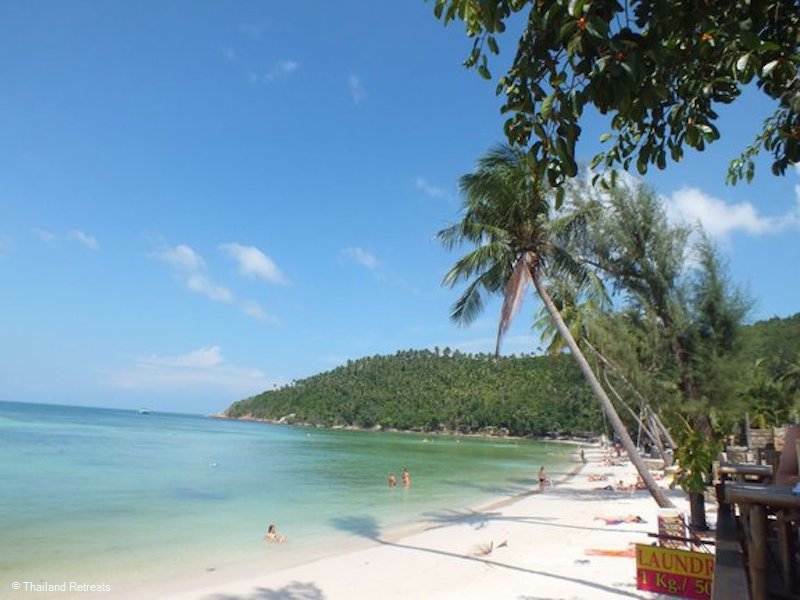 Koh Phangan is one of the larger tropical islands in the southern Gulf of Thailand, south east of Bangkok and sitting 12km away from the popular island of Koh Samui and 1 hours speedboat trip from the infamous diving destination of Koh Tao. Like Koh Samui the island is fringed by white sand beaches. 75% of the 148sq km being mountainous, with tropical jungle and the interior continues to feel undiscovered. The simplest way to travel to Koh Phangan from the Thailand mainland is by air to Koh Samui. Flights arrive in Samui 40 times a day with Bangkok Airways from Bangkok, Krabi, Phuket, Pattaya, Singapore, Penang, Kuala Lumpur and Hong Kong. Samui is the nearest airport to Koh Phangan. Ferries then take you onward to Koh Phangan, with the main ferry leaving from Koh Samui's tourist pier closest to the airport. It takes 30 minutes, however it is also possible to travel by speedboat from some piers which take only 20 minutes. For those looking to go to the full moon party only the "Haad Rin Queen" ferry leaves twice a day from Big Buddha Pier, a short distance from the airport and goes direct to Haad Rin beach. There is an airport being constructed in Koh Phangan at the time of writing which was scheduled to be completed in 2015 however there will only be one operator originally and the flights would be a short hop from Surathani airport on the mainland closest to the island, rather than Bangkok. There are several slower routes to the island if time is on your side. 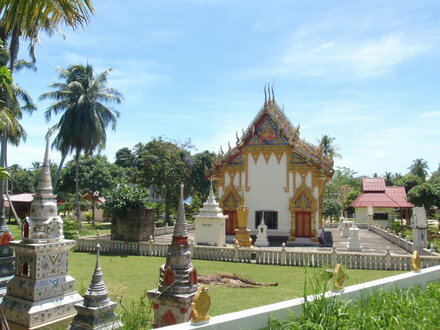 Budget airlines such as Nok Air and Air Asia leave from Bangkok to Surathani on the mainland, which is about an 1 hour away from the ferryports which can be reached by bus or taxi. Other slower routes is the overnight bus or train from Bangkok and usuually can buy a joint air/train/bus plus ferry ticket all in one at any travel offices in Bangkok or if arriving in Surathani without a ferry ticket there are plenty of travel outlets there to provide transport to the pier and ferry ticket. The ferryports of Donsak/Surathani have a few options for a ferry to the island with several services a day taking between 1 hour 30 minutes and 7 hours depending upon which option is chosen. 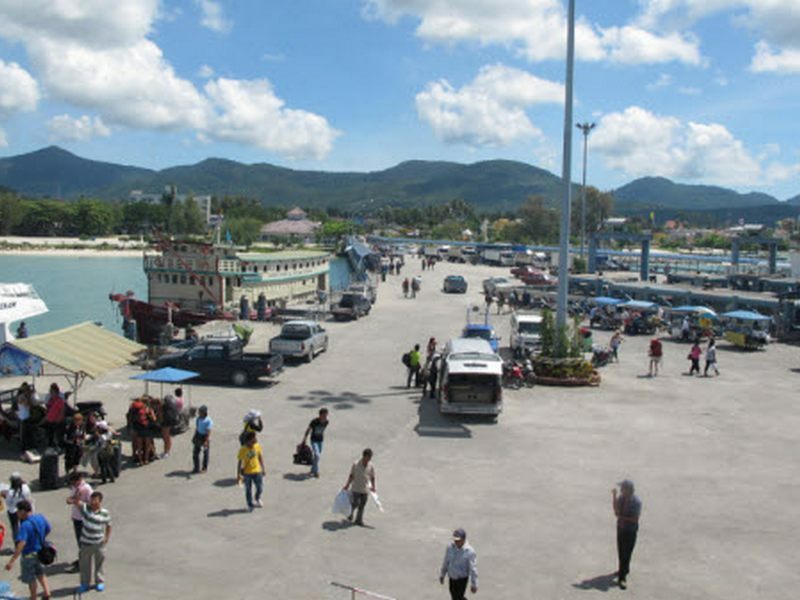 The main ferryport is at Thong Sala on the west coast and is the principal town of Koh Phangan with several banks, tourist shops and various other amenities available. Not sure where to stay in Koh Phangan? 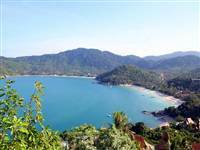 Thailand Retreats has a wide range of villas to rent across Koh Phangan. Here's our insider knowledge of each area. There are a plethora of sunset view beaches and bars and restaurants in popular Baan Tai in the south west, perfect diving, snorkelling and natural beauty in the areas of Srithanu, Maa Haad and Chaloklum or experience the wild and untamed north east coast with idyllic deep beach coves oozing tropical paradise. Which is best for you? Baan Tai is found on the south west coast of Koh Phangan and runs from Thong Sala area down to where Baan Tai meets Haad Rin. It faces Koh Samui and has tremendous sunsets - amongst the best on the island. Good for those who want to be close to the action as it is 20 mins taxi ride to Haad Rin. 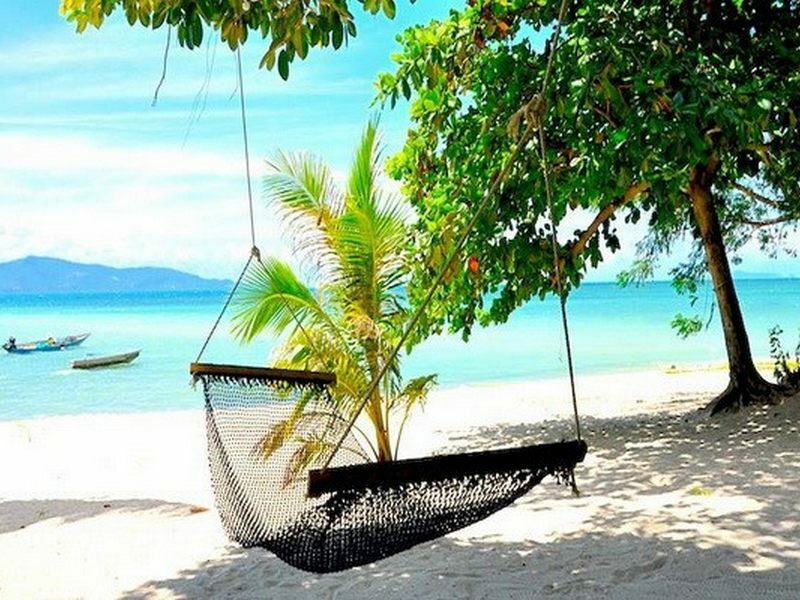 Chaloklum is located at the northen most point of the popular north west coast of Koh Phangan bordered by the two small bays of Haad Thong Lang and Haad Khom and is ideal for families and couples alike, it offers something for everyone. Chaloklum itself is a major fishing village and boasts a wealth of seafood restaurants serving fresh locally caught delicacies. Haad Salad is located on the west coast of Koh Phangan, just above Haad Yao and is well connected to the infrastructure of the island. It is just 20 minutes in a taxi from the ferryport of Thong Sala. 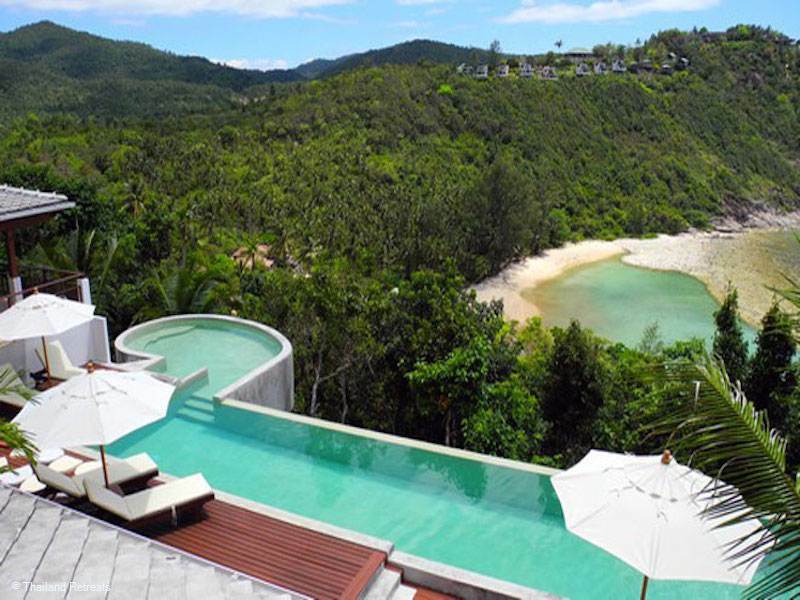 The Haad Salad villas on this north west coast are a perfect Koh Phangan retreat. 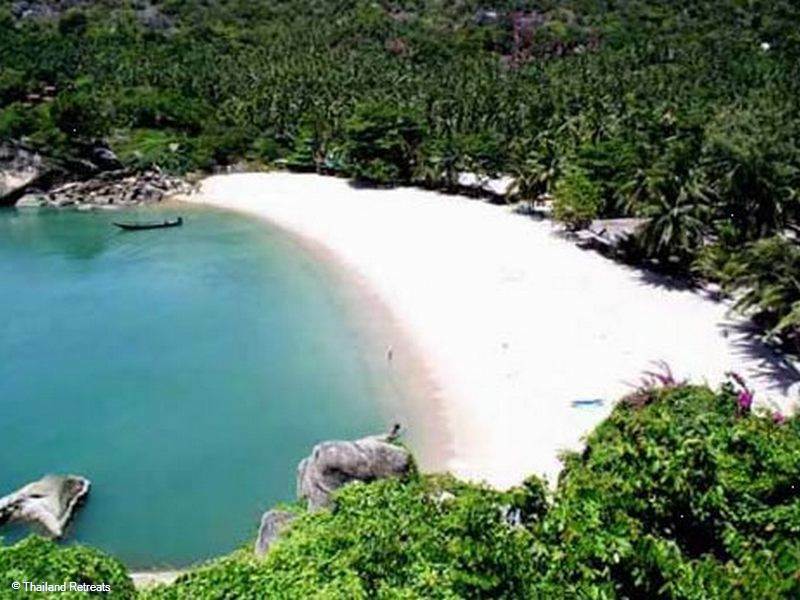 On the North West coastline of Koh Phangan, lying between Ao Hin Kong and Ao Srithanu, is the peninsula Srithanu. It is the market centre for the west and north-west coast of Koh Phangan and has been ever since Laem Son, the local lake and beauty spot, was a tin mine at the turn of the century. Than Sadet is located on the relatively undeveloped east coast of Koh Phangan and draws all kinds of people from all walks of life and all over the world to enjoy the pleasures that this laid back corner of the world offers. If you're heading to Koh Phangan for a beach break, Thong Nai Pan located on the north east coast is an excellent choice. ThongSala is the main port and gateway to the island and is fairly well serviced, with a vast array of amenities in the town such as the Police Station, international hospital, motorbike rental, many laundry services, pharmacies, post office, several ATMs, money exchange and a Tesco Lotus. A long stretch of a tranquil sandy beach on the south west of the island set in a small fishing village, a marina at one end where boats are available to be rented for fishing trips amongst a scattering of authentic beach restaurants. The west facing beach has a coral reef 400m out and at one end the waters are shallow and ideal for families however there are half moon parties on the beach twice a month which can be noisy if you wanted to avoid these times to visit. This golden sand beach is over ½ km long and is lined with several beach bars. There is a reef 100 metres out and therefore it is good for all year round swimming and beyond it is perfect for diving and snorkelling. The beach is on a curved bay and experiences some of the best sunsets, giving a peaceful beauty with a laid back vibe. This long beautiful sandy beach on a peninsular in the south east of the island is home of the famous full moon party which takes place on the northern part of the beach ( Sunrise beach) and has numerous bars and restaurants and a vibrant nightlife whether there is a full moon party or not. At the southern end of the beach (Sunset beach) the restaurants are quieter with boutique style shops. Also known as "Long Beach" is found on the west coast and is picture postcard material, with a wide one kilometer beach with stunning sunset view. This area has grown over the years in harmony with the natural splendour and laid back vibe that drew the first travellers here. This is a 2km long beach lined with mangrove trees and mostly undeveloped, but it is only 5 metres from the road and you will only find a couple of bungalow places here. Only good for swimming from November to April, but great for watching the sun go down on this almost deserted beach. The beach is split by a river and the northern part has to be reached by a footbridge. The beach is wide and sandy and as the reef is not too far away, there is a good drop off and it is good for swimming in this northern part. The other half of the beach has been developed into a small anchorage for the local fishing fleet and is not good for swimming. The sandy Than Sadet beach is perfect for relaxing and soaking up the sun however you will find very little shade on the beach itself. The clear water and reasonable depth make it a popular snorkelling and swimming destination. You can swim round to the neighbouring Thong Reng beach which is smaller but just as beautiful infringed with swaying palms and soft white sand and can walk back to Than Sadet via a bridge. Thong Nai Pan Noi and Thong Nai Pan Yai - These are twin coves that form a scenic double bay and privy to stunning sunrises on the east coast of Koh Phangan. With stunning white sand bays surrounded by mountains, both beaches are excellent for swimming and are the epitome of paradise. These beaches can be accessed by sea with boat trips from Chalaklum and Haad Rin. 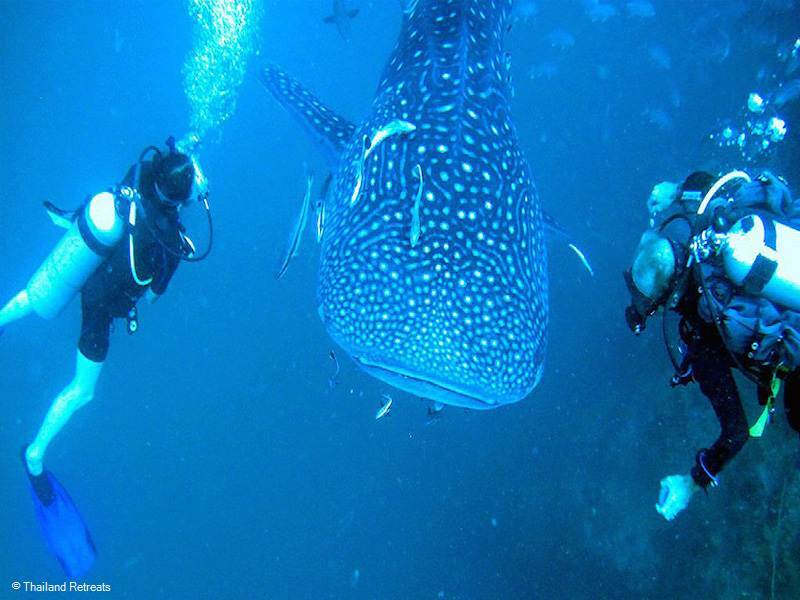 Koh Phangan is full of outdoor adventure. An excellent place to snorkel, vibrant coral reefs hug the northwest coast of the island although there are numerous water sports available all over the island. 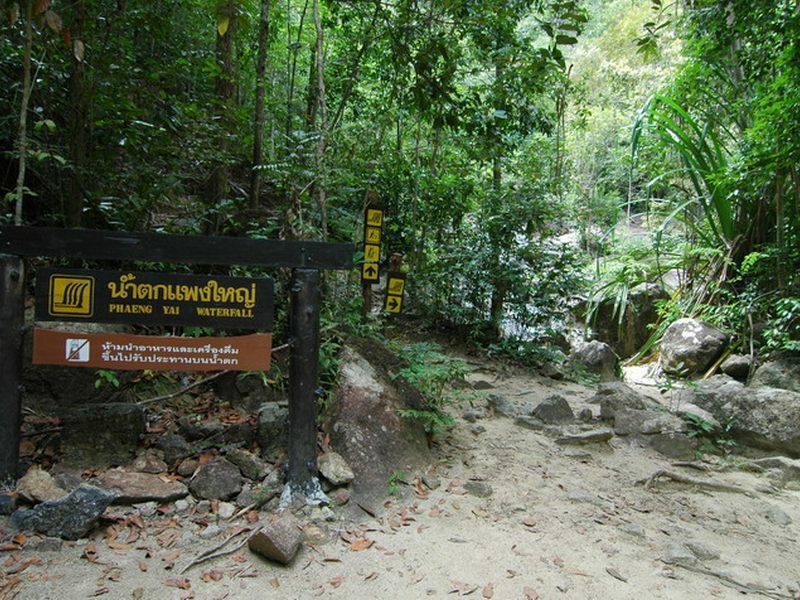 There are overnight mountain treks throughout the wild jungle interior and several Thai boxing schools and gyms dotted around, should you fancy something a little punchier. Koh Phangan is also great for cycling and motorbiking, offering some fun rides. The stunning 42 islands of the Angthong Marine Park and the surrounding seas are home to an abundance of tropical marine life and not to be missed. A must visit is a trip to Khao Tao famous for it’s crystal clear waters full of colourful tropical fish and a divers paradise. 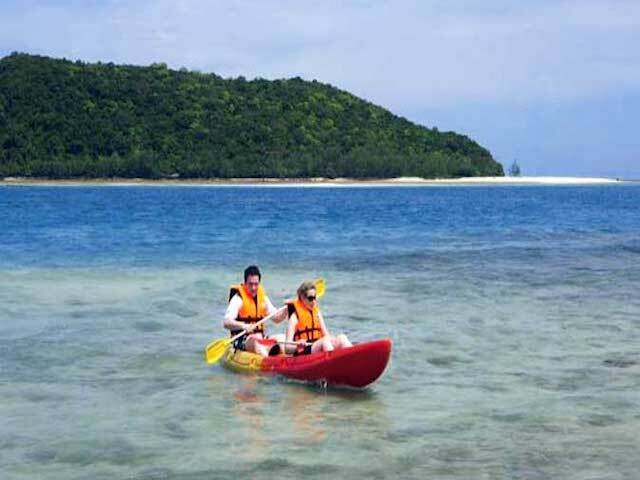 Most beaches on Koh Phangan have kayaks to rent by the hour and are great for exploring the coastline. Snorkelling is possible almost anywhere on Koh Phangan. The reefs from Chaloklum Bay on the north west coast are in great condition, it’s even possible to dive directly from the beach. Fishing trips can usually be organised with many of the island’s resorts or tour companies and often are brief long tail boat trips out to a few local spots with a hand line. There are also plenty of operations with quality rods and equipment. The KBA centre on Koh Phangnan is located at Baan Tai and teach at the most suitable beaches throughout the year to be in the best area for wind conditions. 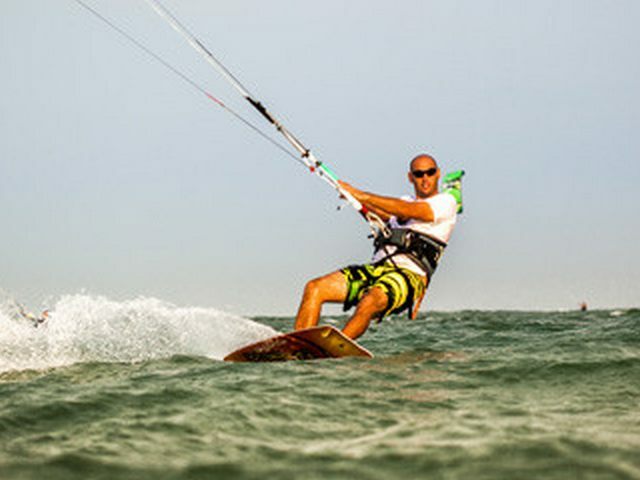 During low tides, KBA can provide land boarding by kite such as kite skating and buggy courses. 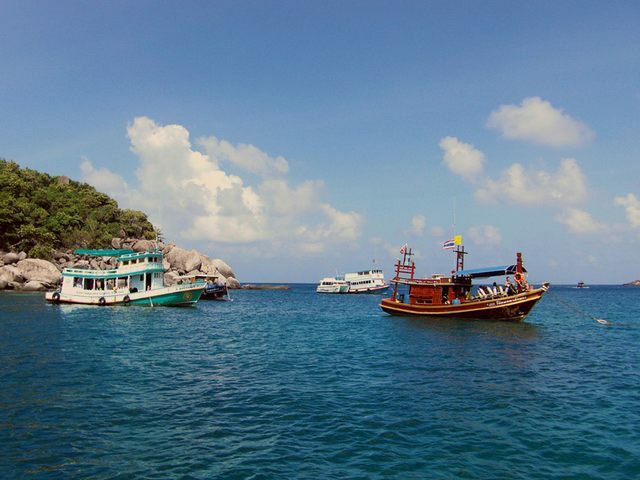 Koh Phangan's waters are ideal for learning or an exhilarating ride for the experienced sailor. There are many international standard companies offering sailing trips and tuition. 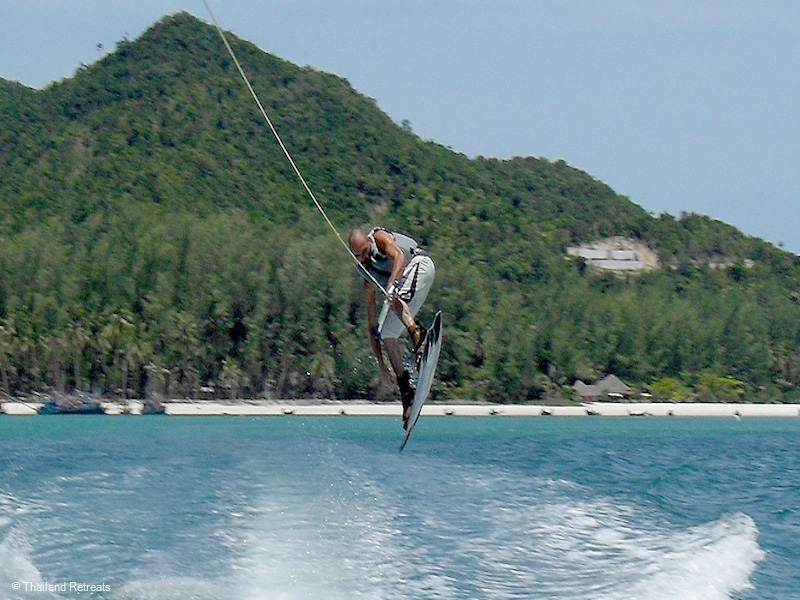 A well established wakeboarding company provides wakeboarding lessons or board rentals on the north coast of Koh Phangan in the fishing village of Chaloklum an has receved great reviews. Bicycles can be hired throughout Koh Phangan, the quality of such bikes does vary but there are many in very reasonable condition. The best areas to leisurely cycle are in the south and west coast with sights to see such as the Phaeng Waterfall, the Jade Buddha and Laem Son Lake. 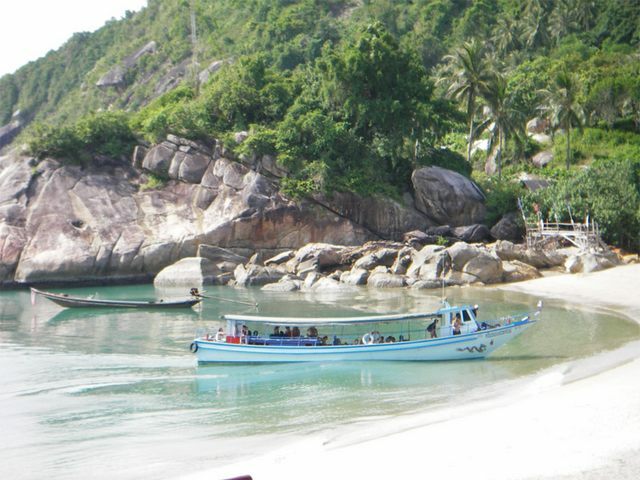 Perfect for trekking and camping, many parts of Koh Phangan remain untouched. 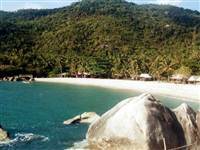 There some fun treks along the coastline linking up peaceful coves and beaches, or in the jungle interior and Phaeng Waterfall National Park. There are three small stadiums in Thongsala - you’ll easily be able to watch this popular sport during your stay. 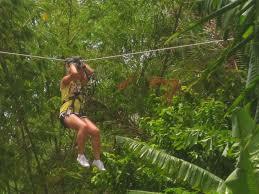 Zip through the trees gliding along ziplines and at walk on sky bridges 22m up in the trees. 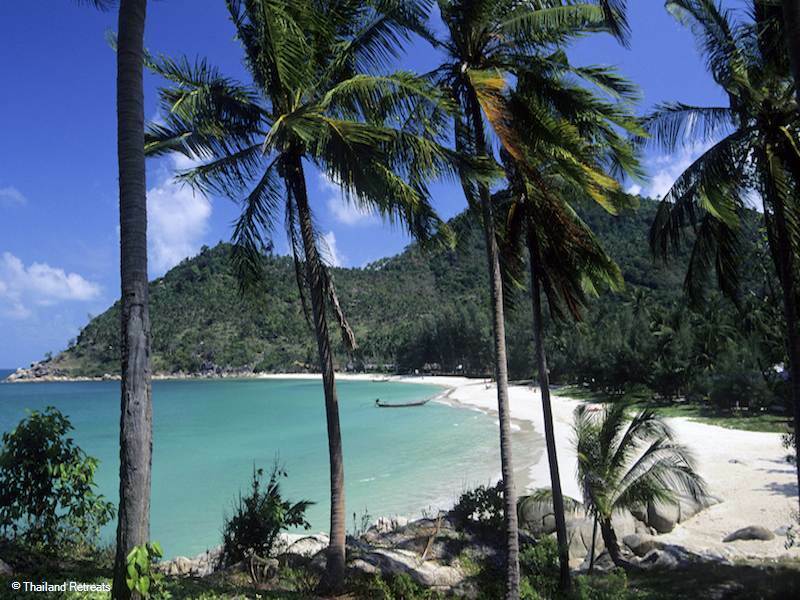 Koh Phangan has a long heritage as a visiting place for Thai royalty. There are many beautiful temples to discover and numerous spots of simply outstanding natural beauty. A cookery school overlooking Haad Salad has 1/2 day cooking classes which involves shopping in the local market for the ingredients, providing an insight into the ingredients used and the actual cooking with your own wok and work station. Koh Phangan has a wonderful variety of restaurants to choose from serving mouth-watering Thai dishes. In the villages of Thong Sala, Chalaklum, Ban Tai and Haad Rin the restaurants also serve European, Israeli, Scandinavian, Mexican, Indian and Japanese cuisine. Haad Rin is the party capital of Phangan with the rest of the island being quiet by comparison, although there are still many pubs, bars and night clubs where you can experience live music and regular parties to your hearts desire.